Fatehpur Sikri is a fascinating ghost city built in the 16th century; 37 km from Agra Akbar the great, who at 26 years did not have an heir, founded this historic site. He went to a saint, Shaikh Salim Chishti who lived in a city called Sikri. His blessing gave Akbar 3 sons. As a gesture, Akbar built a whole new city in Sikri. 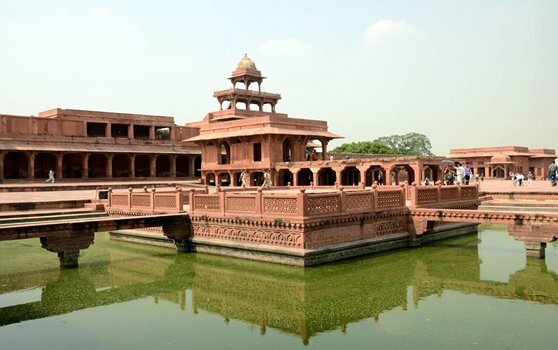 Akbar named his new capital Fatehpur Sikri or the City of Victory.Fatehpur Sikri is one of the finest examples of Mughal architectural splendour at its height.